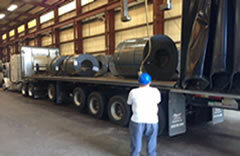 Welcome to Precision Slitting Service Co., a Flat Rolled Steel Toll Processor & Warehouse. 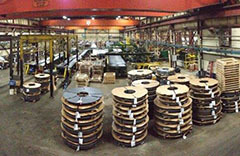 We are located in Romulus, MI in a 70,000 square foot climate controlled facility with 3 slitters (60" wide each). Our available storage is for 25,000 tons. 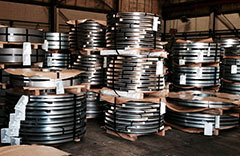 Precision Slitting has been a Toll Processor to the Steel Industry serving Steel Mills, The Big 3 (Ford, Fiat/Chrysler, General Motors), and their Tier I / II / III suppliers since 1961. Slitting H.R., HRPO, Stainless, Galvanized, Aluminized, Aluminum, Cold Rolled, HSLA, C1050, 4130, Galvanealled, Secondeary, Primary and Painted; Storage & Warehousing. Should you have any pricing, capability or delivery inquiries, please contact us. We look forward to serving your custom needs.